Today’s tour turned into a private tour! I tailored and shortened the tour for today’s client, and we had a wonderful morning exploring a small portion of Murphys Point Provincial Park. Post-breeding dispersal was evident, along with signs of fall migration. 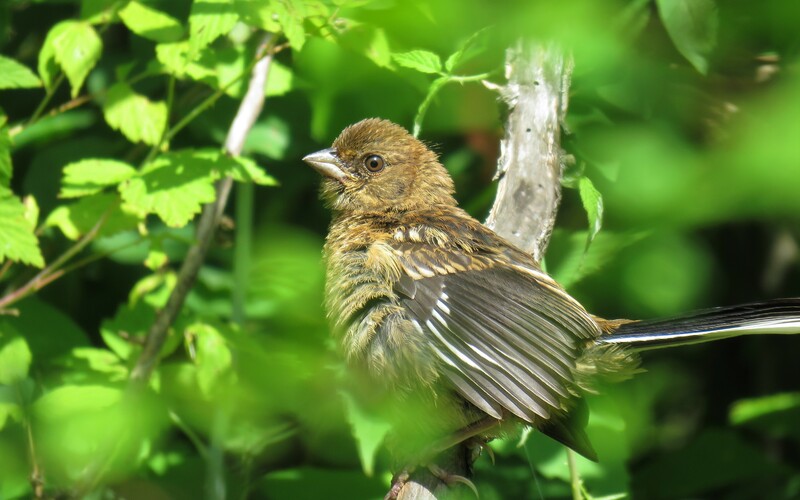 We observed approximately 10 Eastern Towhees, including 7 juveniles! The trickiest bird to ID was a short-lived view of a first-fall (born this summer) backcross Brewster’s Warbler! Wasn’t expecting that sidewinder as it appeared into view from low in some shrubbery. This particular plumage class shows a lime green cap in certain light (very attractive). 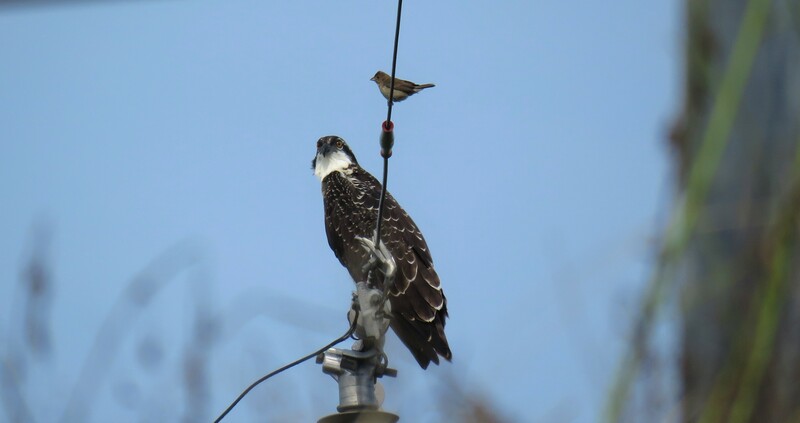 The moment of the day had to have been when we observed a juvenile Osprey perched on a wire beside an Indigo Bunting. The Rideau Lakes serves up a fine birding experience every time, it seems! A great way to kick-off fall tours. 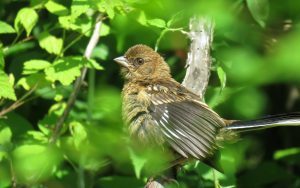 Photo: Eastern Towhee, juvenile. Silver Queen Mine Trail, Murphys Point Provincial Park. 2 August 2018. Photo: Aww, as far as I’m concerned, this means they’re friends! Juvenile Osprey and its pal, the Indigo Bunting. Lower Rideau Lake, Lanark County. 2 August 2018. 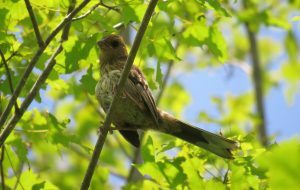 You’ll notice a new eBird user; Eastern Ontario Birding. This is my work eBird account. Moving forward, I’ll be using it during tours and sharing it with my personal eBird; Jon P. Ruddy, along with the eBird accounts of the eBird users present during the tour. Today, we focused on casual birding and photography mostly from roadsides. The only checklist from today’s outing was from Silver Queen Mine Trail.